A recent report released by the Ministry of the Interior made headlines when it announced the difference in disposable income between the richest 5% and the poorest 5% in Taiwan had risen to about 66%. Meanwhile, the number of families living under the poverty line in the past 2 years increased. From problems due to more and more homeless people living in the streets, to policies and tax breaks favoring the rich and powerful, we have to wonder if poverty is a social ill that is both normal and inevitable. Churches cannot stand in the sidelines or remain unaffected by this growing disparity that touches everyone. Unfortunately, we’ve witnessed plenty of big churches becoming richer and bigger as small churches wilt and struggle making ends meet in recent years. And yet, as Christians, we believe God’s economy operates vastly different than our economic system. How churches manage or spend the remainder of their general funds at the end of each year varies from church to church. Nevertheless, PCT General Secretary Andrew Chang has urged churches to adopt a “Reset-to-Zero Movement” whereby financially stable churches give away surpluses from their general funds to churches and organizations that have less. Chang reports that churches in Seven Stars and Taichung presbyteries have already begun doing so and most donations of annual general fund surpluses have usually gone to seminaries or social welfare organizations. “All this money is God-given,” Chen Po-jie said. He is pastor at Wu-Jie Presbyterian Church, located in a small rural town in Ilan. His church firmly believes in tithing and at a time when many full-fledged churches are saying they don’t have much to give and are resource-strapped, this small church, which has yet to become a full-fledged church, is setting an example. PCT church laws require that all full-fledged churches be financially self- supporting and most churches start out as “gospel centers” before they reach that goal. Most of these small gospel centers” rely on support from another church or their presbytery both in terms of financial provision and human capital. 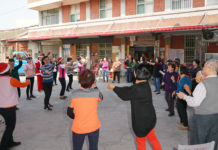 Despite Wu-Jie Church’s limited resources, Chen said that his church has been helping other smaller churches in the area for about 6 years now. It has been giving away about 12.5% of its revenue every year in financial donations to other churches that are struggling to maintain a meeting place or hire a pastor. 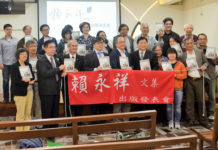 In another example of churches supporting one another, Taiwan Church News reported earlier this year that Rukai Presbytery was starting a new church for Aborigines living in Tainan city with help from Hsin-Hsing Presbyterian Church, which was in turn helped by Liuzhangli Presbyterian Church. As Hsin-Hsing Church got ready to move to a new location and church building, it hoped its old church buildings would continue to serve some evangelistic purpose instead of being sold to pay for a new mortgage. 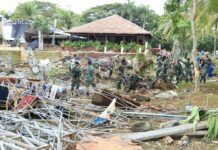 After contacting PCT officials, it was discovered that Rukai Presbytery wanted to start a church in Tainancity to minister to Aborigines working in urban areas. So, without further ado, Hsin-Hsing Church offered its old building to Rukai Presbytery and became its partner in ministering to Aborigines who’ve migrated to urban areas. On August 1, 2010, both churches cemented their partnership during a thanksgiving service complete with signing of a partnership agreement. Hsin-Hsing Church reported afterward that Liuzhangli Church in Taipeihad offered to loan NT$5 million free of interest charge to help the church pay off its mortgage as soon as possible. For all the churches involved in this partnership, the way everything turned out is yet another reminder of God’s grace and provision. It is a wonderful example of a church in need that decided to lend a helping hand and give graciously despite its circumstances. When it did so, it discovered that God also met its needs through timely help from another church.